TA31F Features: -Scope. -The acogs (Advanced optical gunsights) are internally adjustable compact telescopic sights with tritium illuminated reticle patterns for use in low light or at night. -Bindon aiming concept (bac) models feature bright daytime reticles using fiber optics which collect ambient light. 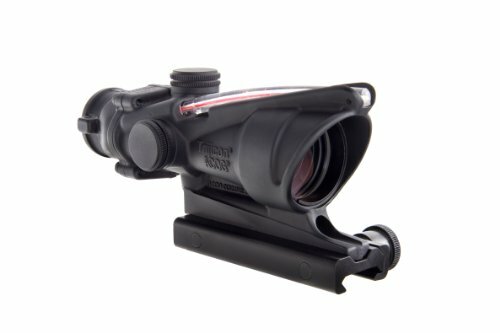 -Conventional riflescopes offer only a tiny exit pupil, requiring careful eye positioning directly behind the eyepiece. Laser Sight: -Yes. Magnification: -High (approx. 6X – 30X)/Medium (approx. 3X – 16X). Finish: -Black. Generic Dimensions: -Weight: 9.9 Oz. -Length: 5.8″.